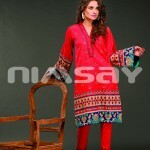 Nimsay is one of the most leading and demanding fashion brand in Pakistan.Nimsay is a fashion label who offers seasonal and occasional collection for women. Recently it launched new summer dress collection 2014 for women and also shows latest dress designs.All the dresses are decorated with embroidery of latest work. 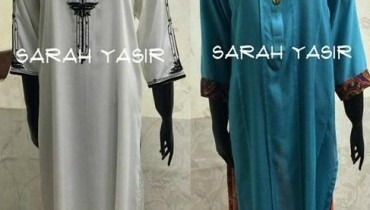 The colour of all the dresses are also latest and have different designs. These beautiful dresses have embellished with embroidery on front and back. These dresses are perfect for parties and evening gatherings.